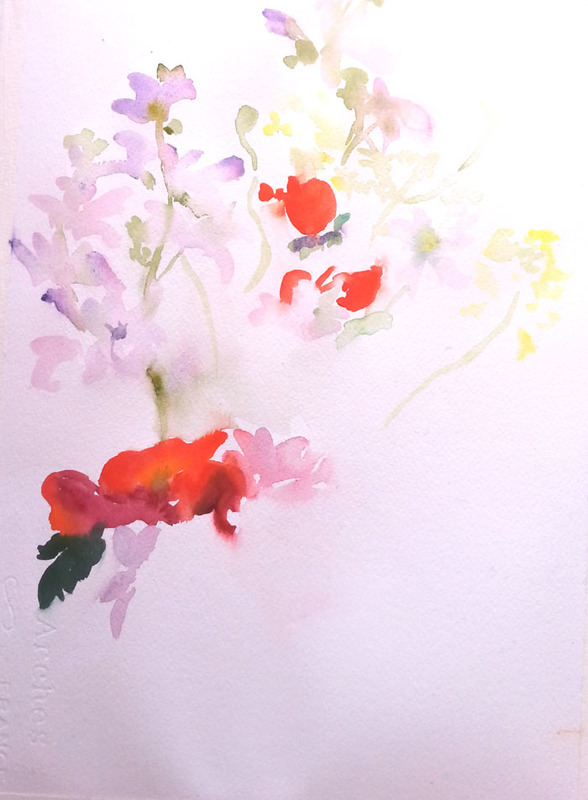 This watercolor, Poppies with Yellow and Violet Flowers belongs to the Spring Series 2015. This watercolor is from the month of April. 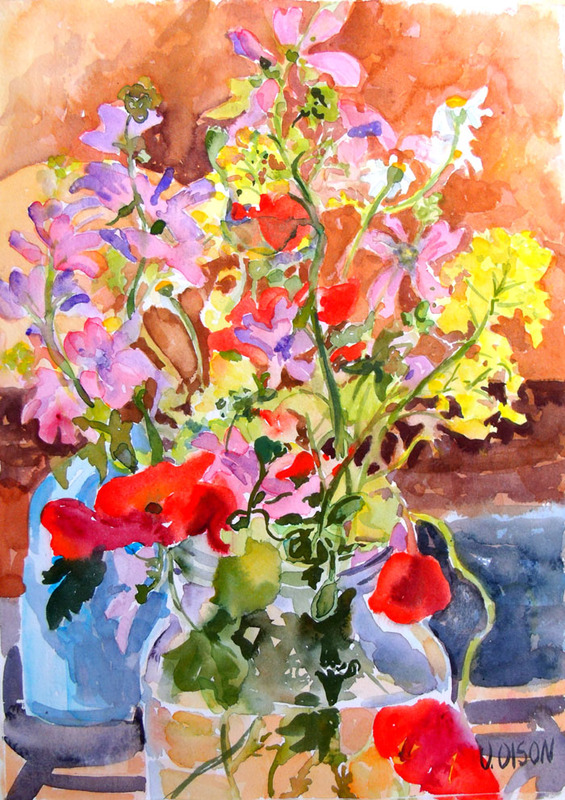 I was painting as fast and as much as possible in April and May because the wild flower season is short-lived. I always want to capture a still-life in one session which is about six hours. That’s about as much time I can paint before the light is totally different. Also, I never know if I can paint at the same time the next day. As usual, I start with an area that I like a lot. I built the watercolor around the poppy that I put on the picture plane first; everything else was measured against it. I’m not looking for perfection. I like to paint from nature in direct because the moment stays with me. 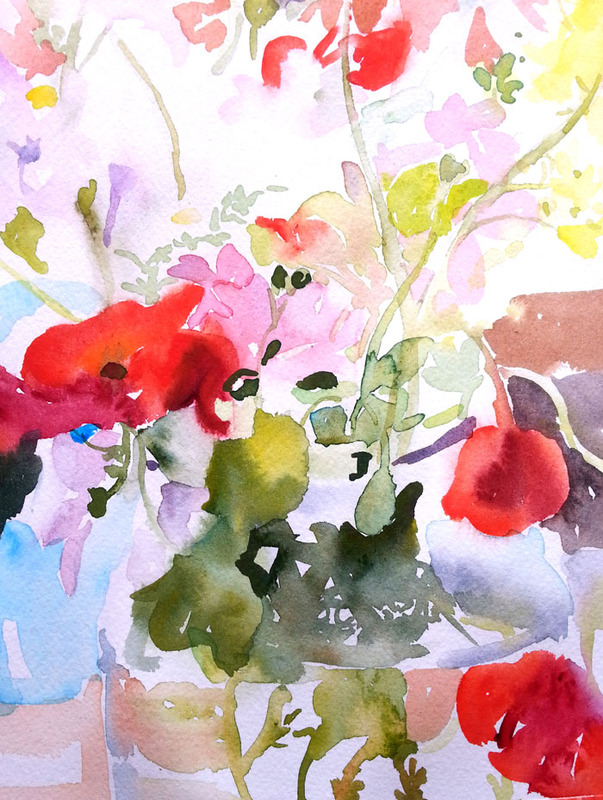 This entry was posted in Fine Art, Wild Flowers and tagged Spanish Poppies, watercolor. Bookmark the permalink. ← What is an Artist’s Collection?